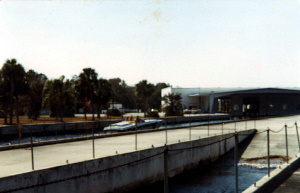 Below are several pictures of the Cigarette and Magnum factories. 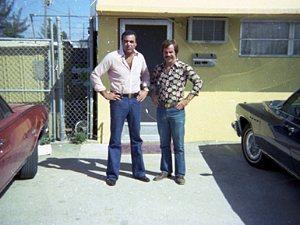 Don and Charlie are pictured first in front of Magnum. 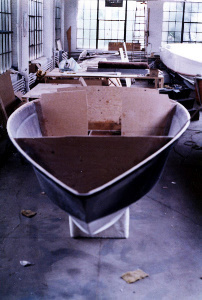 Next is a line drawing of the 24' Cigarette with two more photos of a grey one at the Cigarette factory. 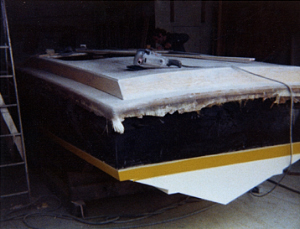 This is the model which Charlie bought the molds for. 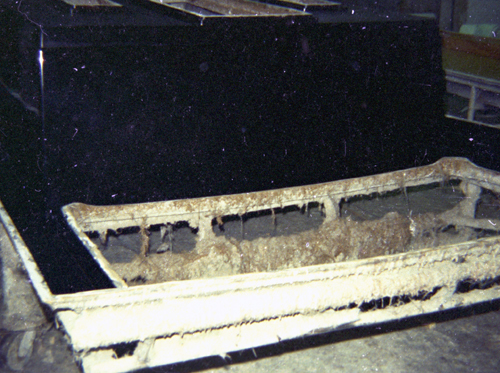 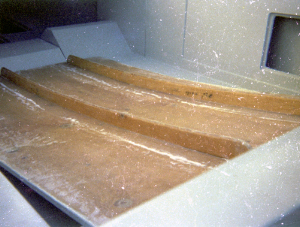 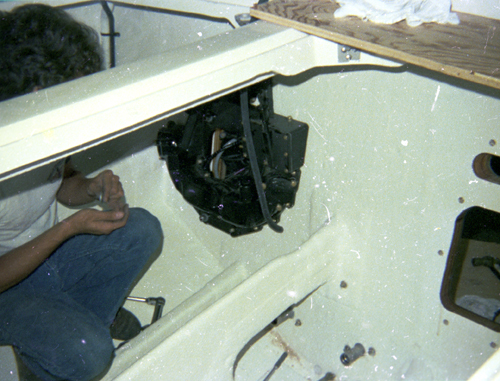 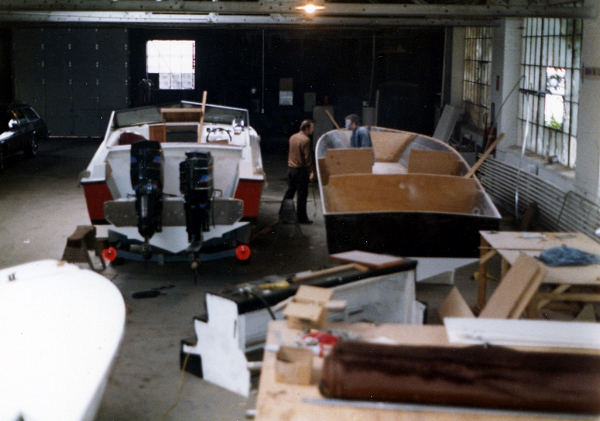 Once Charlie got the molds back to RI, the first boat was built and a new deck plug was created. 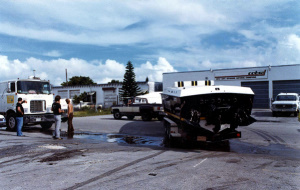 Don told Charlie to bring the first boat back to Cigarette and they would rig it for him there, as well as train his guys. The picture below is the first banana boat in RI awaiting loading into the tractor-trailer behind it to get it shipped to Miami. When the boat got down to Cigarette, Don laughed at the deck and said it was built way too heavy. 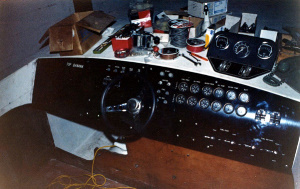 Don then had his guys build Charlie a lighter race deck, as shown in the next three shots. 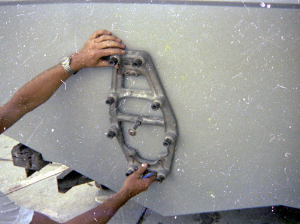 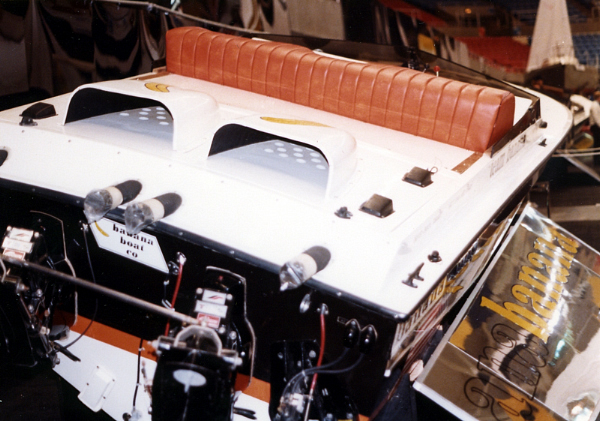 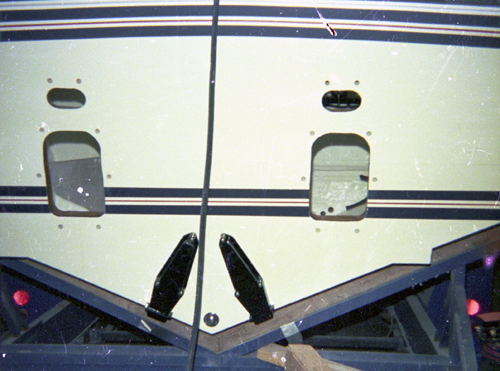 Charlie closed this deck in and added a 3-man bolster, and continued to use this light deck throughout the 1976 race season. The beach and dock scenes shown here were taken in Boca Raton, Florida. 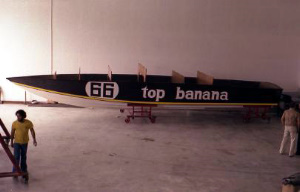 They are of the first banana boat just after it was rigged at Cigarette, but before the name was painted on. 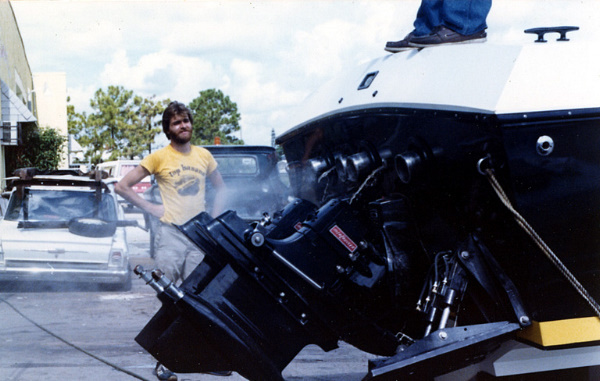 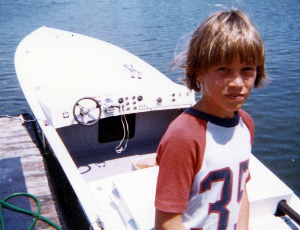 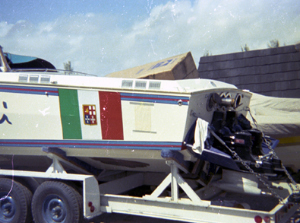 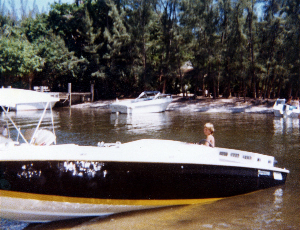 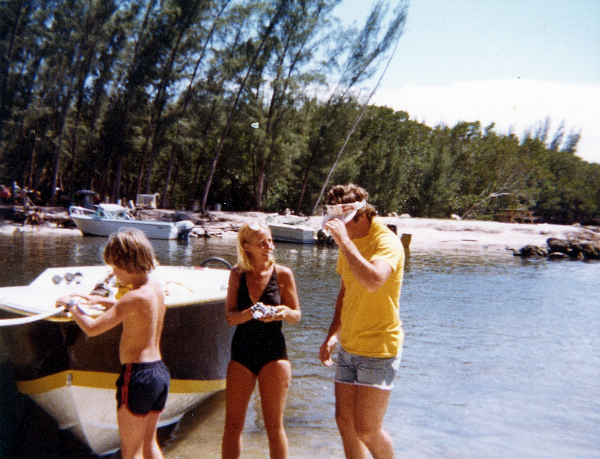 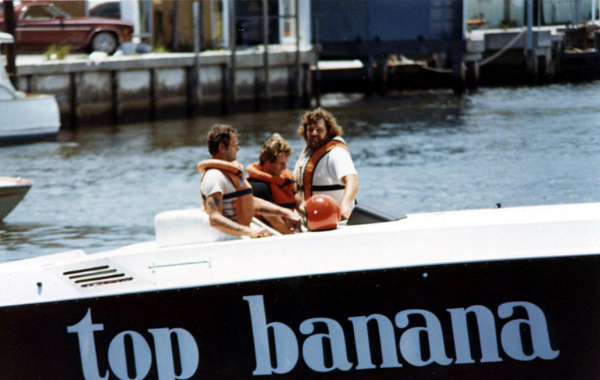 The small boy in the photos is Charley Jr., who has been around offshore race boats from the very beginning. 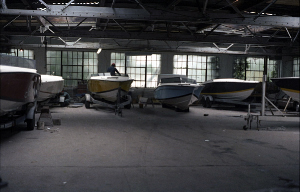 The final set of photos are at the Cigarette factory. 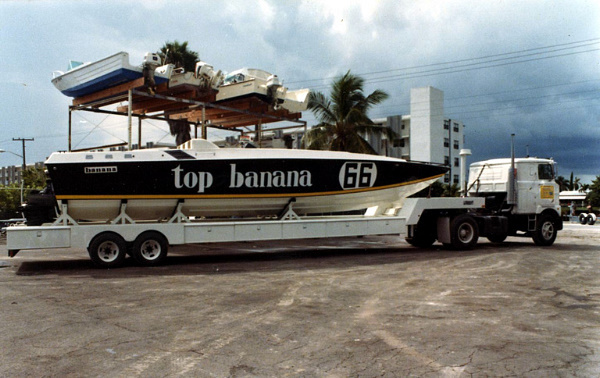 The last one is the 24' Top Banana all shrink-wrapped on its new trailer in front of Cigarette for the ride home to New England. 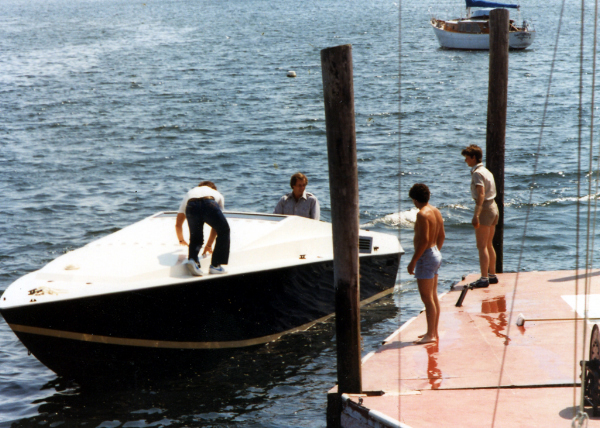 Two weeks later it won the 120 mile Gloucester, Mass. 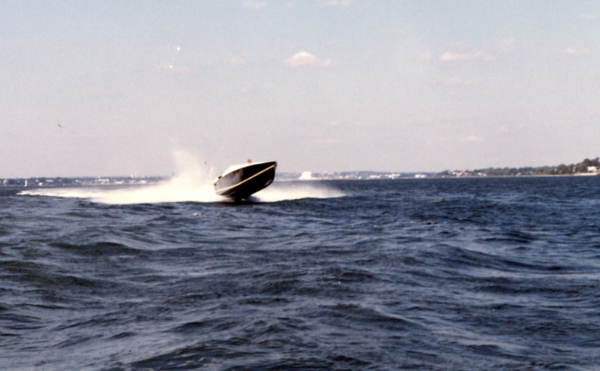 offshore race. 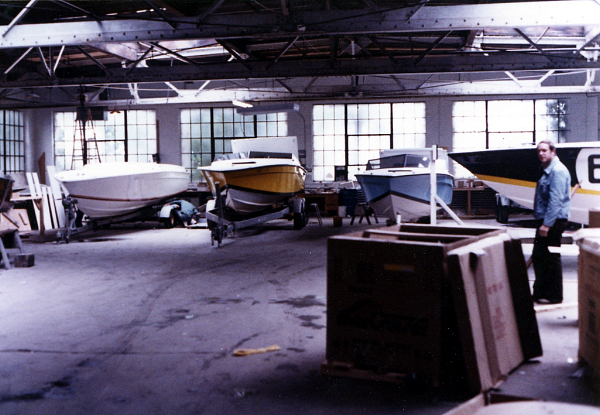 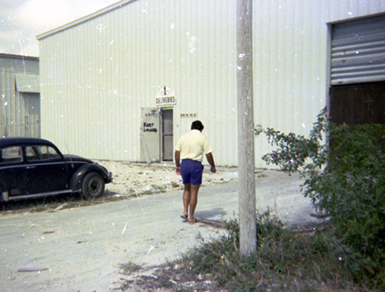 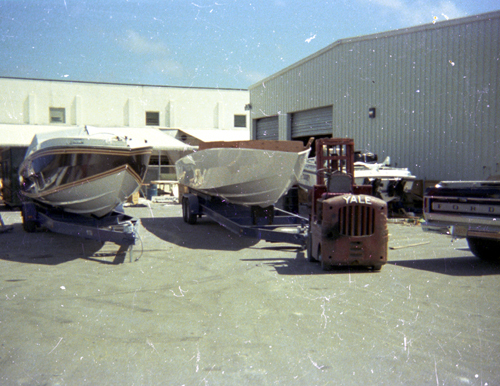 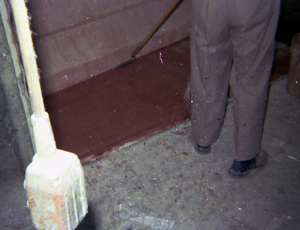 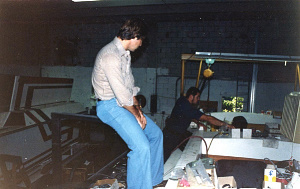 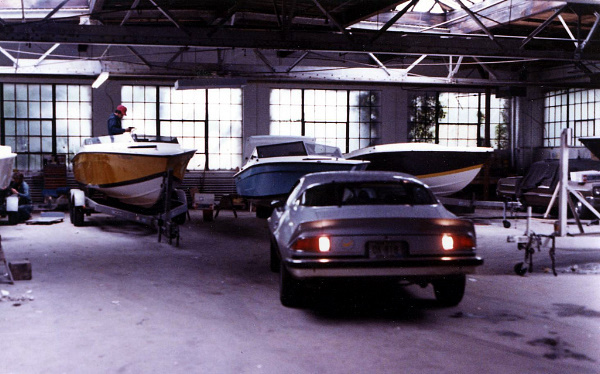 Here are several photos of the original shop in Rhode Island back in the 1970's. 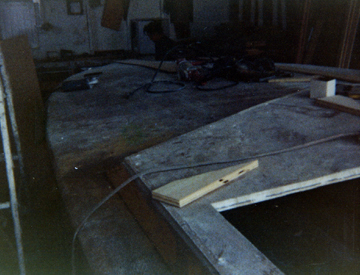 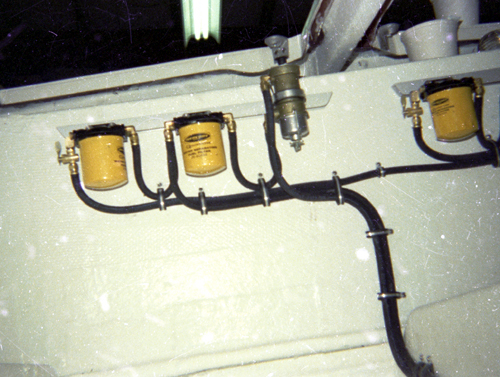 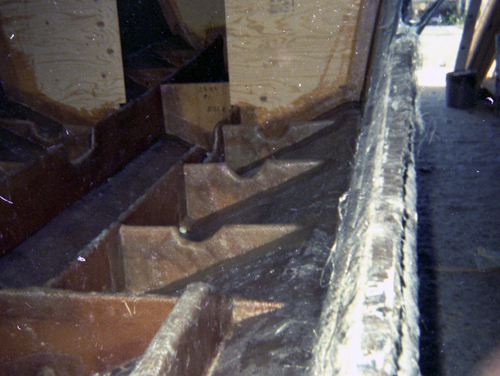 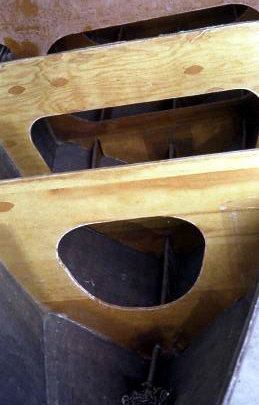 Note the first three pictures of the original deck plug being created out of plywood. 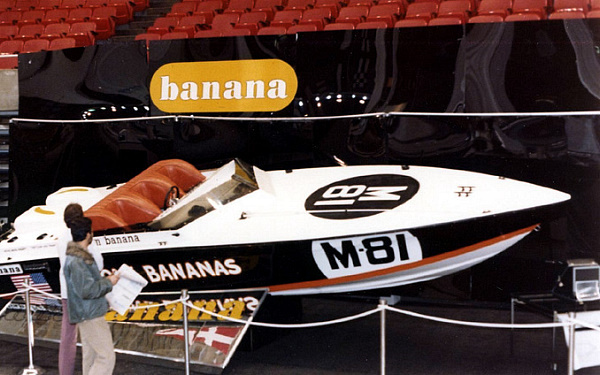 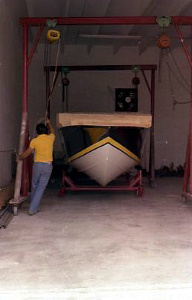 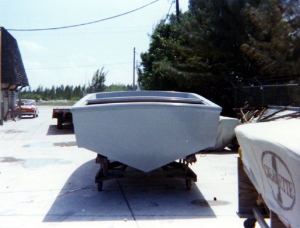 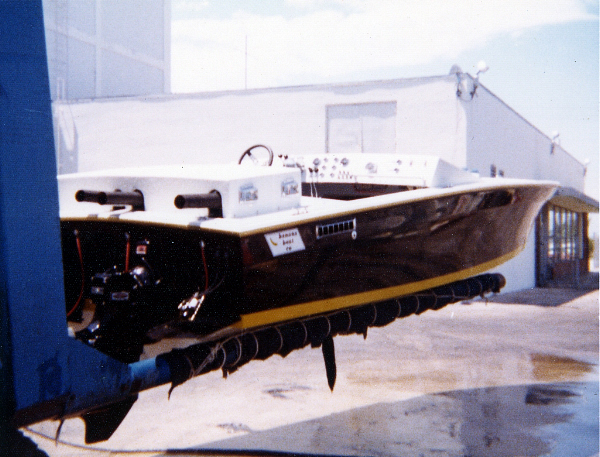 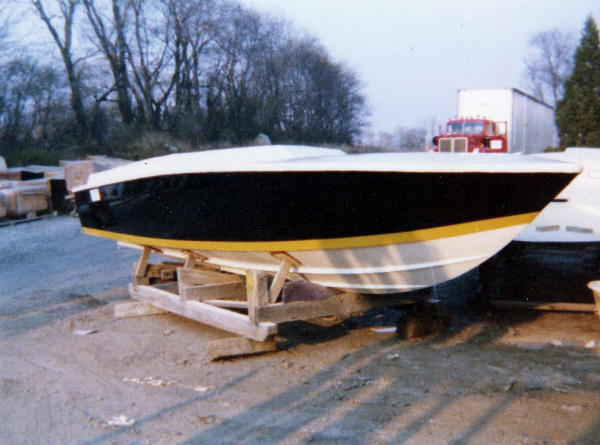 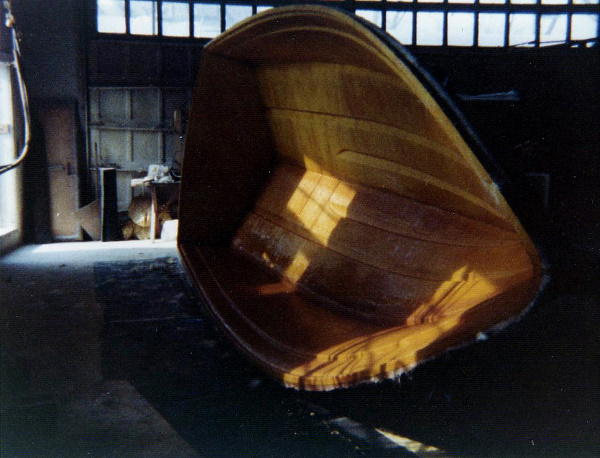 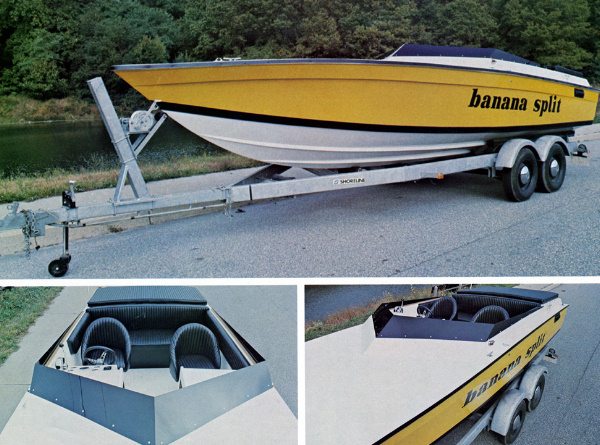 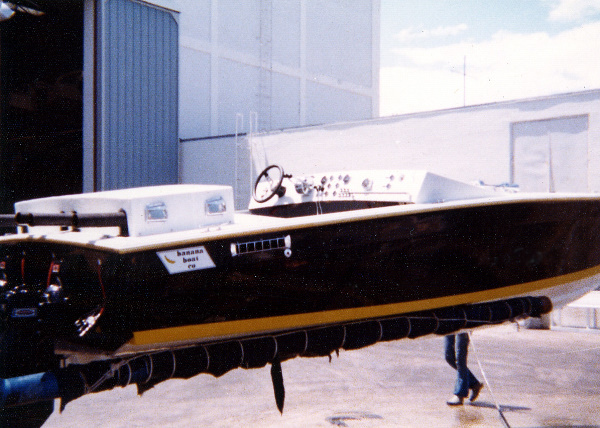 Here are some photos of the very first "production version" banana boat ever built and its maiden voyage. 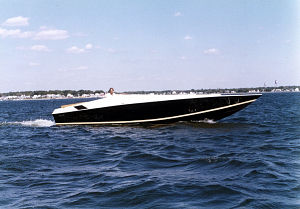 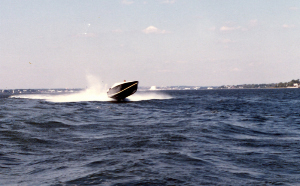 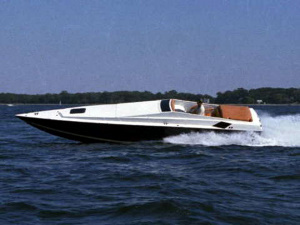 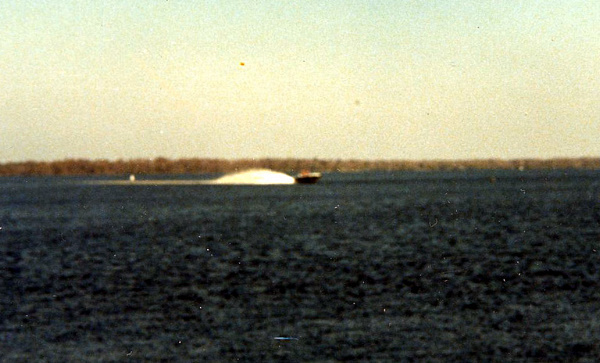 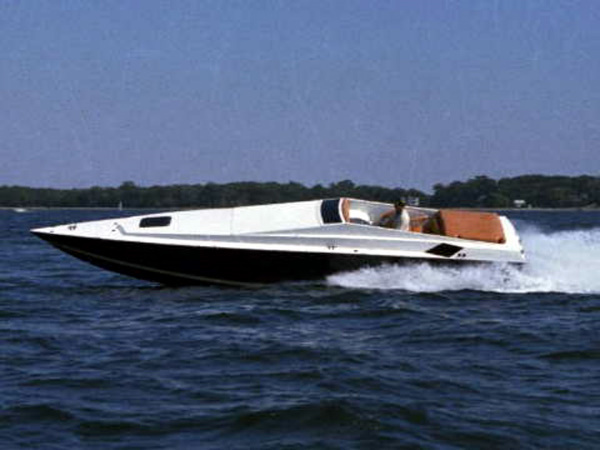 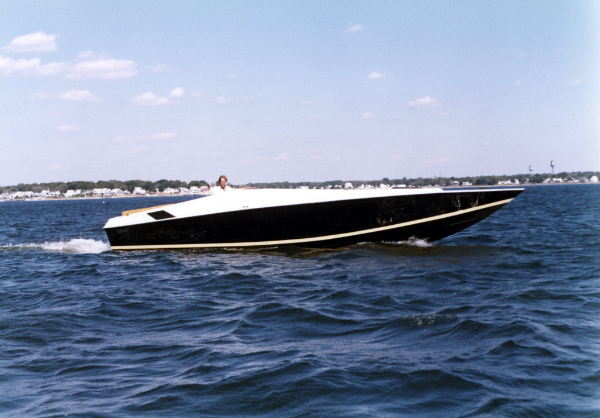 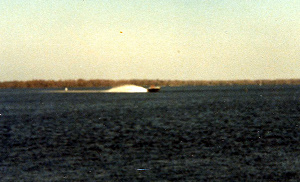 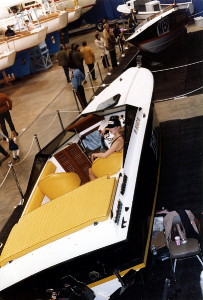 It was powered by a single Mercruiser 280TRS and was capable of reaching a top speed of 60 mph. 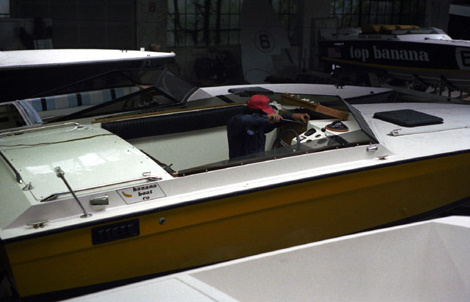 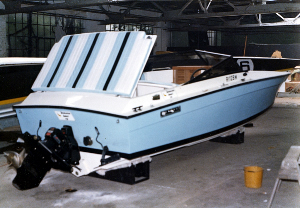 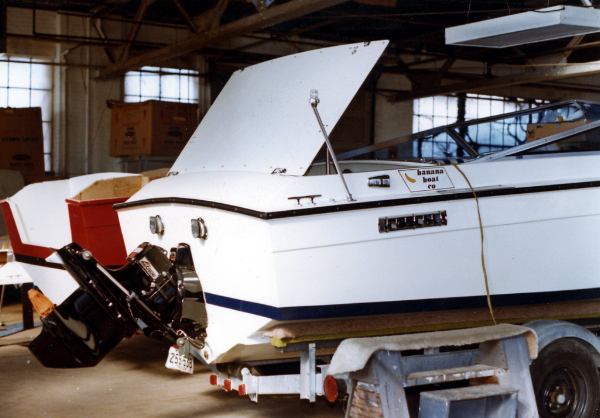 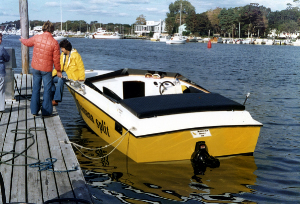 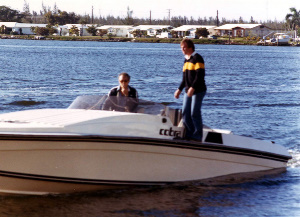 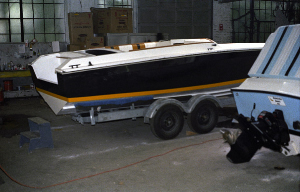 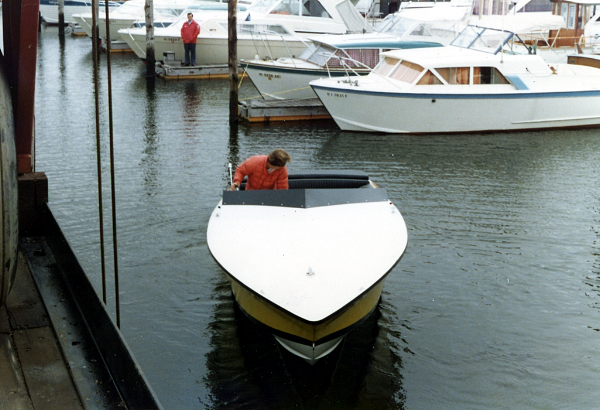 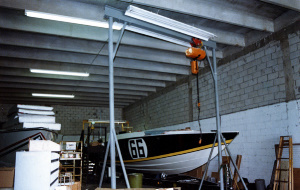 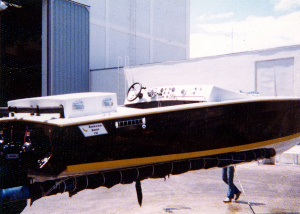 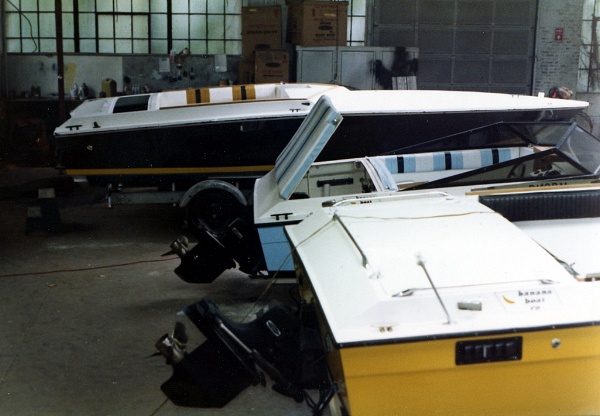 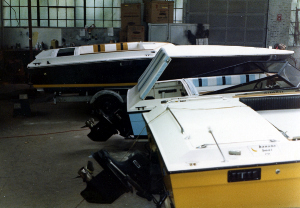 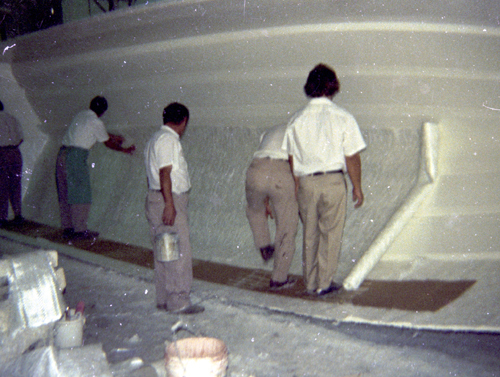 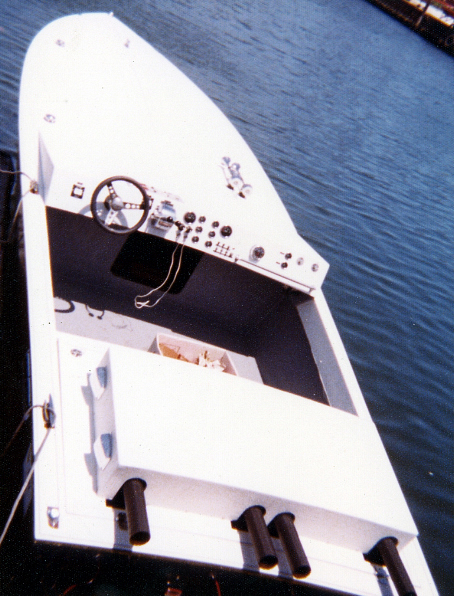 In 1977, Charlie commissioned Frenchman Jean-Claude Simon to design a new open class race boat as well as a pleasure boat version. 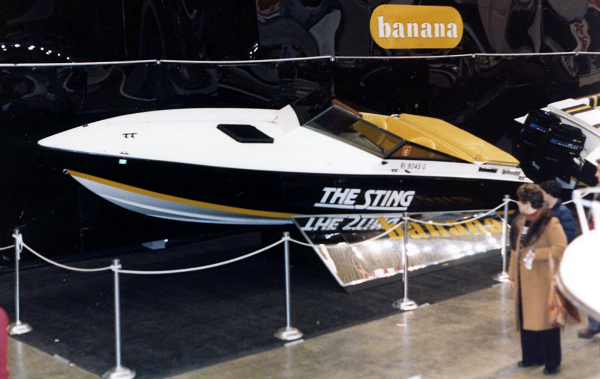 Simon had produced many great designs over the years -- Cary, Cobra, Excalibur, etc. 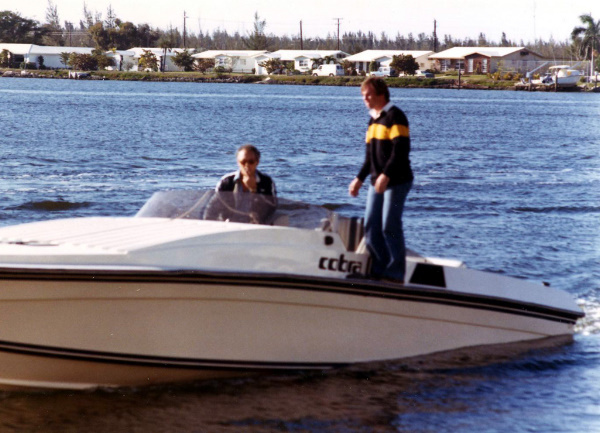 Charlie and Jean-Claude are pictured below in the first two photos in the Cobra. 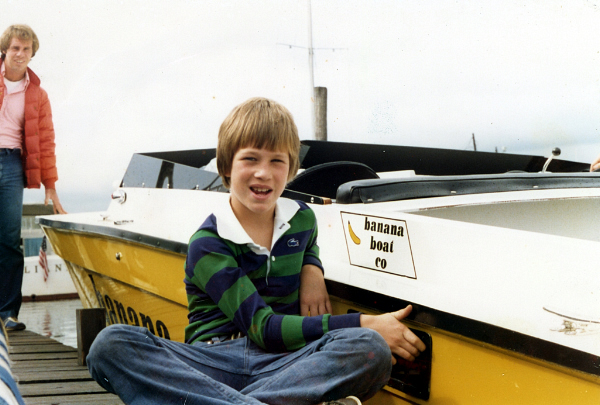 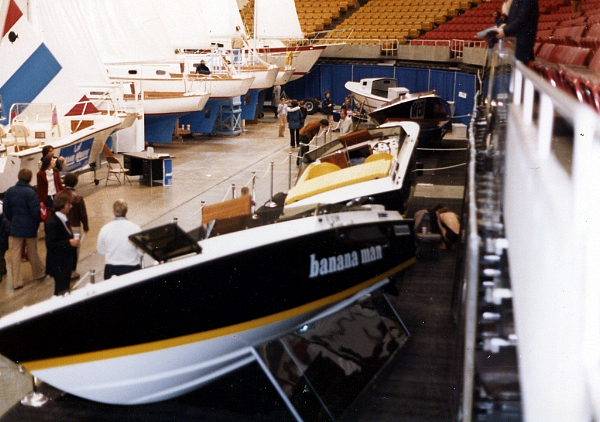 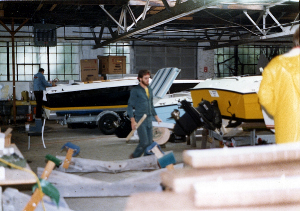 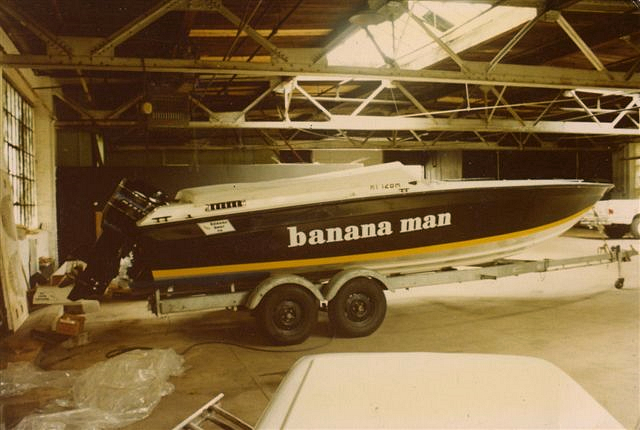 Simon designed the 38' Top Banana and 33' Banana Cruiser (which was actually 34'). 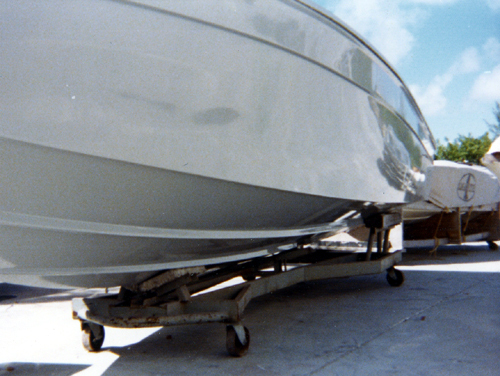 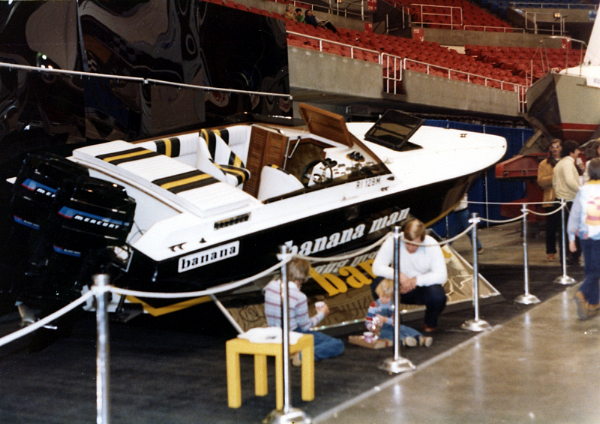 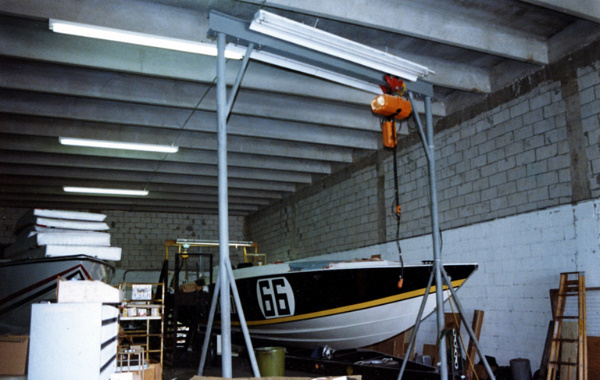 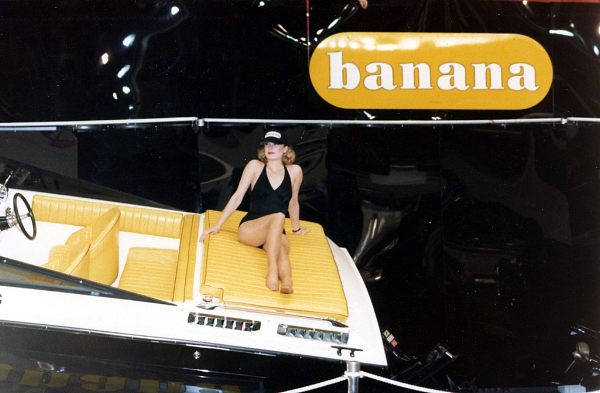 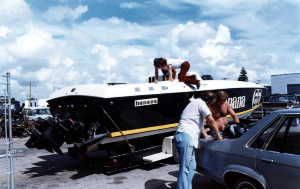 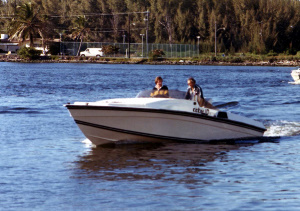 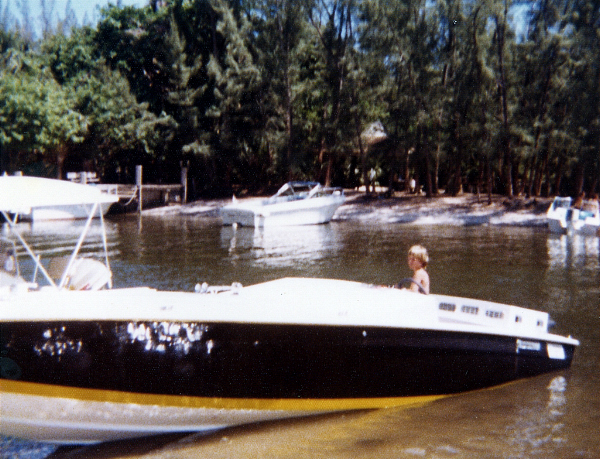 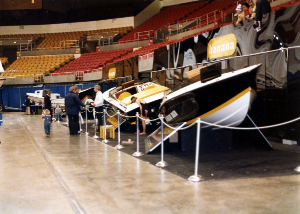 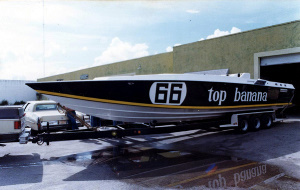 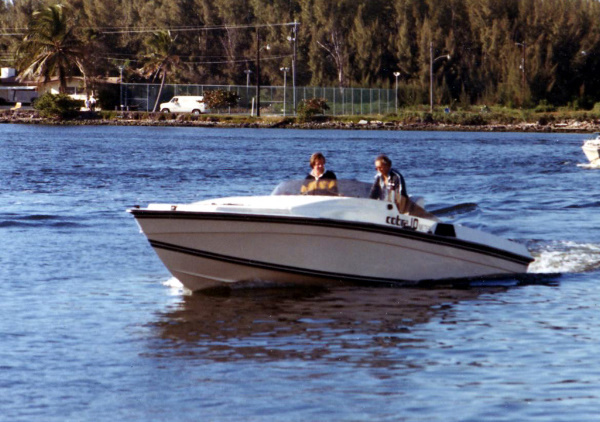 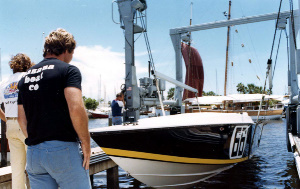 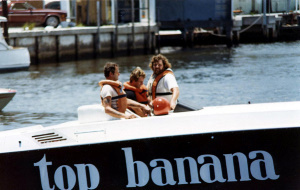 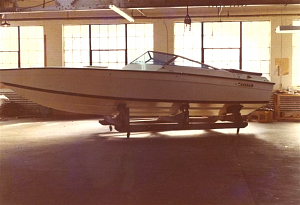 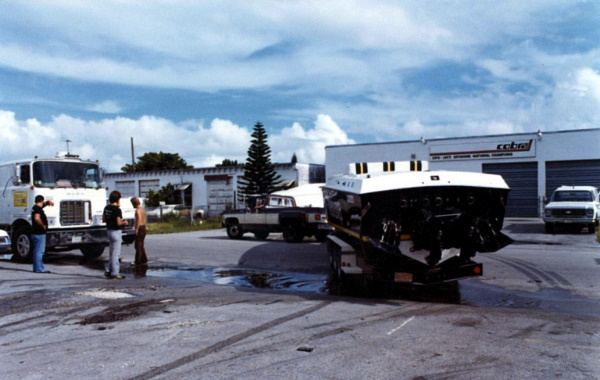 The 38' boat became widely successful as the #60 "Top Banana" campaigned in 1979 and "Rums of Puerto Rico" campaigned in 1980. 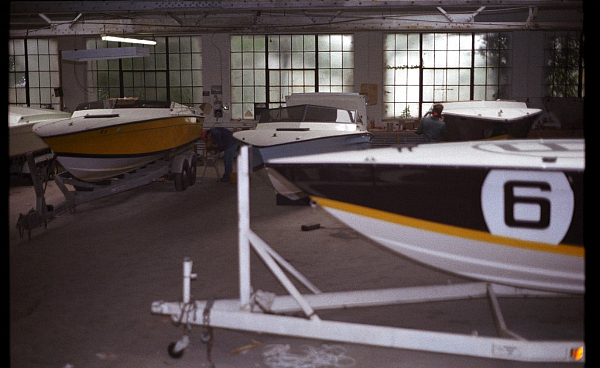 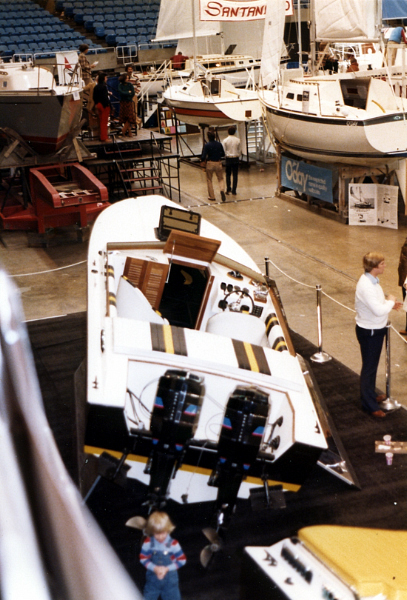 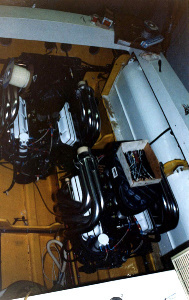 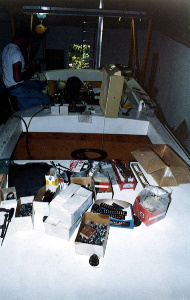 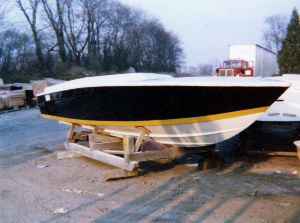 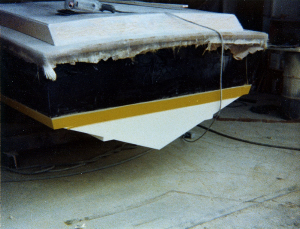 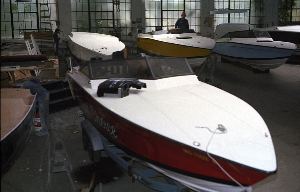 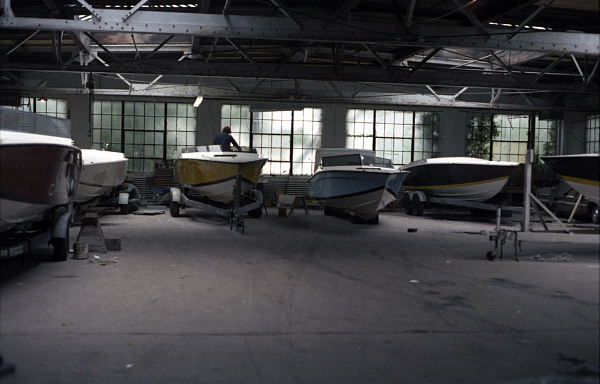 Per his agreement with Charlie, Simon marketed the same hull designs with different decks for a few years under the "Coyote" brand, but eventually sold his set of the molds to Sonic back in the early 1980's. 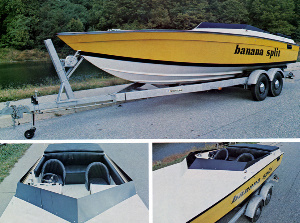 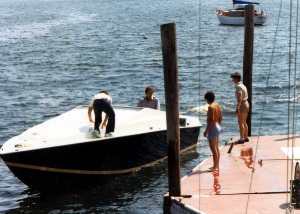 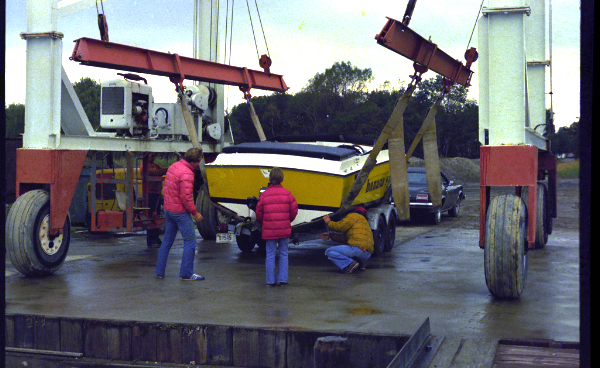 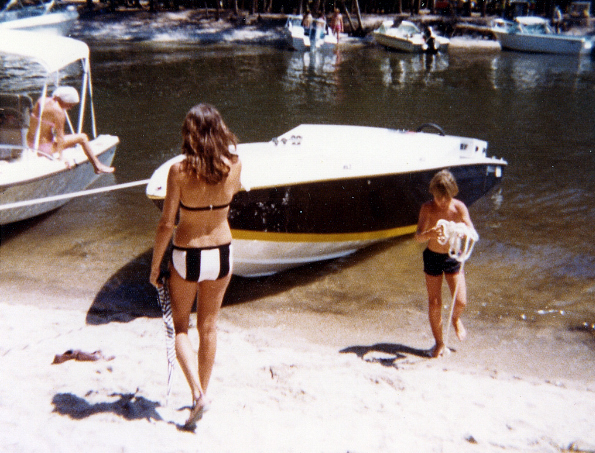 Pictured here is the very first 38' Banana being rigged and sea tested, then a couple of pictures of the same boat at Mercruiser's Lake X. 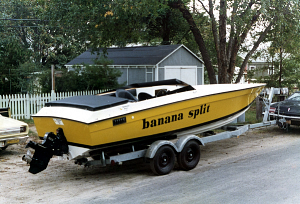 © Copyright 2005-2018 banana boat co. All rights reserved.